Words cannot describe this wonderful boxer boy. In all his life he never put a foot wrong, never misbehaved, never had an argument and when asked to show did so with pride and joy. He was handled mostly by Renee Keays who loved him dearly as we who knew him did. Our hearts will ache for him forever for when he went he took them with him. Achieving at the highest level he was a joy to show. God bless and keep this sweet soul safe and well into eternity. I can't imagine that the pain and emptiness we feel today will ever go away. You were a piece of our family and you will be so sadly missed, we were all so blessed to have been able to share our lives with you! May you now rest in peace beautiful girl and when my time here on earth is done, we will be re-united in heaven! Thankyou Gavin & Eileen Custance for breeding and allowing me the privilege of owning such an AMAZING dog! 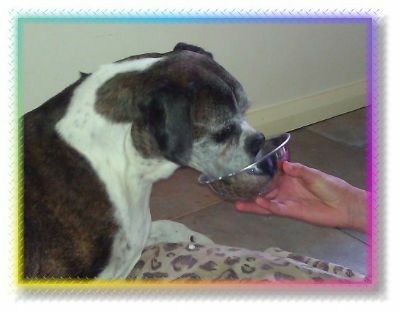 Our beloved “Cara” passed away peacefully at her chosen time on a perfect autumn afternoon on the 11th April, 2013; she was almost 11 years of age. Special from the whelping box, this beautiful deer red daughter of Innsbruck Oats n Barley & Boxhaven Hot N Wild, has left an indelible pawprint on our hearts, quite literally a once in a lifetime dog, “Cara” excelled at everything she did. 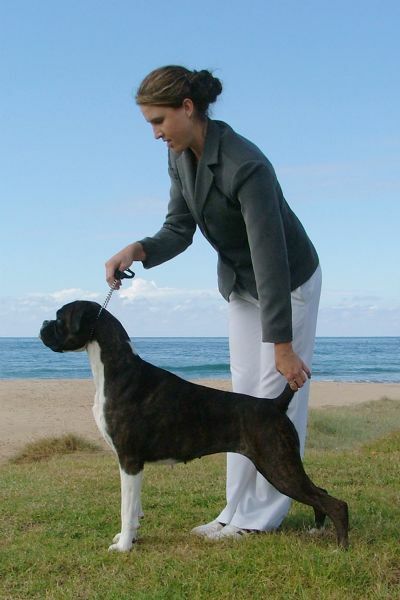 Her first BIG came at the tender age of six and a half months she went on to be runner up top puppy at the prestigious OZCARS and a multiple BIG winner her exploits in the show ring were equally matched by her wonderful temperament and demeanor. 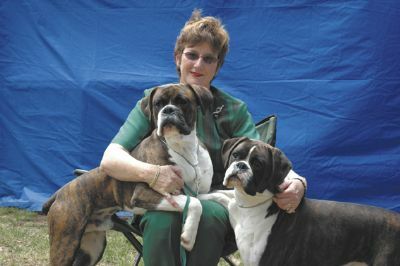 The leading Red female in the Boxer Club pointscores for 4 years, “Cara” twice represented the breed at the prestigious Utility Dog Club battle of the champions, once to the quarter finals. A wonderful show dog, she always went out and did us proud. Three weeks before she passed away we took her with us to a show at Hillsborough & she still expected to have her turn at being groomed and chalked. 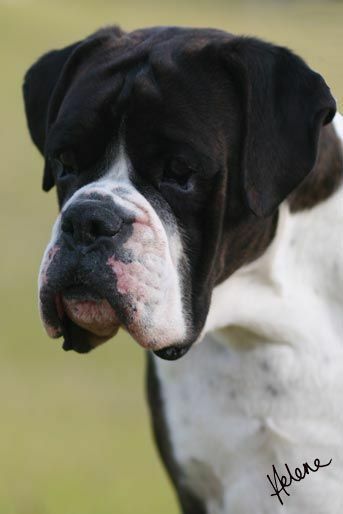 She was the grand matriarch at Boxamore & all respected her authority, young & old alike, she exuded those wonderful Boxer characteristics that set the breed apart.. This was combined with a funny disposition that endeared her to all those lucky enough to know and love her. A faithful companion, to the end, one of her greatest joys was to go out walking, and we shared many special times with her at our side. It is hard to imagine how much we miss “Cara”, she was so much more than a dog to us & has left a hole that can never be filled. There is no measure for the privilege of owning a dog from birth to death, we count our blessings at having shared her life & of the many wonderful memories we have created together. Rest in peace our beloved Cara. Our beautiful golden oldie, Ellie left us peacefully and unassisted over the weekend in her favourite sleeping position on her bean bag. Ellie was, without a doubt “Top Dog” at Casqueen. She demanded the respect from all our Boxers over the years. Ellie always had to be where the action was and up until a couple of weeks before her passing, she insisted on following us up to the kennels and back every morning and every evening, no matter what the weather was like, rain, hail or shine Ellie was there – our constant shadow. Preferring Sam’s company when he was home, but settling for mine when he wasn’t. Ellie loved baby puppies and whenever we had litters on the ground she would hang around the whelping quarters knowing that these puppies would soon emerge and play with her. At age 13 she still took them under her wing and stood there trying to feed them and teach them manners. Ellie was recently diagnosed with heart arrhythmia and congestive heart failure and even though she was placed on medication, we were told that due to her age, she would probably not have long. She lived her life as per normal coming and going from the house as she pleased and although very slow and not eating very well in the last couple of weeks, she was still able to push the flap on the dog door without any assistance at all - right up until the day she left us. Always a very strong willed girl, she did things her way and we somehow knew in the back of our hearts that she would go peacefully when she was ready to go and that’s exactly what she did. Ellie would have been 14 in April next year. 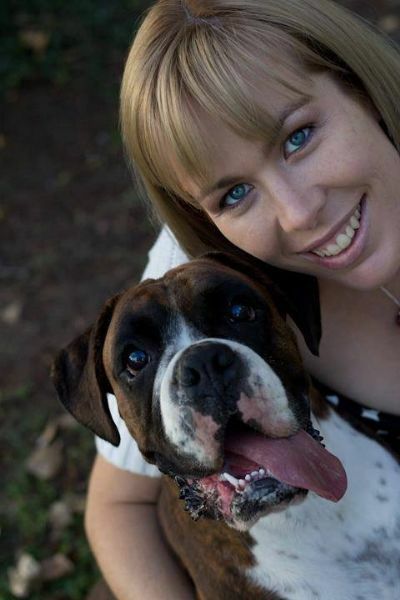 Even though this is considered a great age for a Boxer and we knew her time was near, it is not easy to accept that our beautiful golden girl, who was such a big part of our lives for so long is now gone. Ellie will live forever in our hearts and the beautiful memories we have of her very full life will always bring a smile to our faces. God bless you and keep you safe - rest in peace our beautiful golden girl, until we meet again. It is with great sadness we announce the loss of our dearest Diesel. 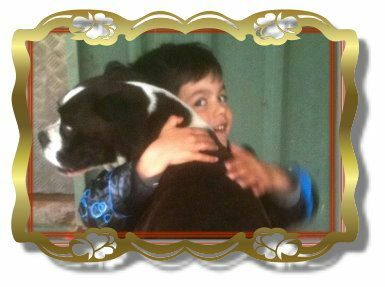 Diesel was let go on 1-12-2012 after a battle with a spinal infection that became untreatable and on the advice of our Vet we made the decision to help him pass. To say a piece of our world has gone is poor indeed. 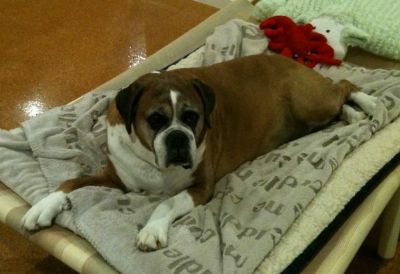 Diesel was a beautiful boxer, an outstanding dog and a friend of endearing character. His career in the show ring was a shining reflection of his quality. His first year in Australia saw him as Top Puppy having only been shown for six months. 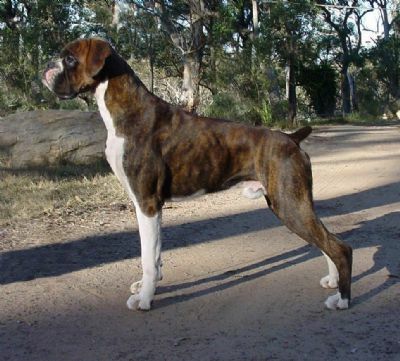 Starting off with BOB over 90 boxers at 10 months, he achieved his Australian Championship at 14 months of age .He was awarded Grand Championship title, after earning 1000 points and every one of those points was earned in breed competition. 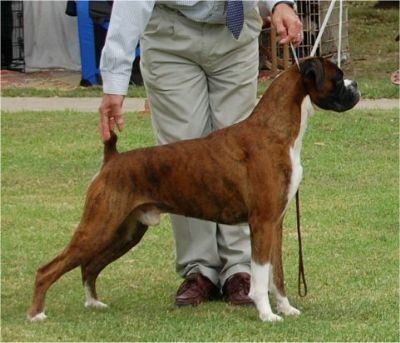 Diesel was the Top dog in NSW pointscores for 4 years, an achievement not matched by any other dog , in the history of Boxers competition in NSW. Too numerous to mention are so many BOB, Royal BOB, Group and In Show wins. 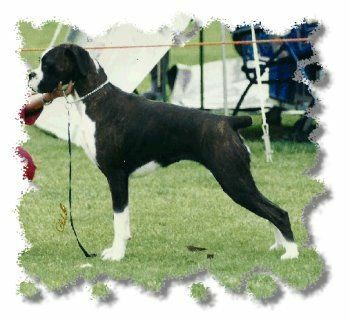 He was a Sire of Merit twice over and his progeny have earned multiple BIS, BISS, RUBIS , RUBISS plus multiple Specialty and All Breeds classes in Show. 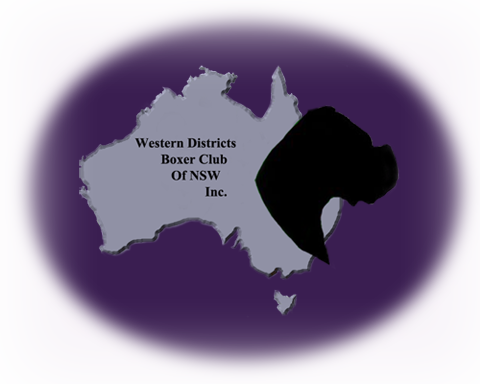 We have to thank Brenda Groves and Steve Hare for allowing us the honour and privilege of having Diesel share our lives and for the legacy and memories he has left at Vineen Boxers. 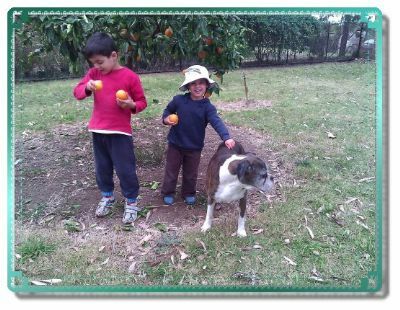 Diesel has made a unique contribution to the Breed in Australia and it will be a long time before we see a dog of his quality again. Our beautiful princess, Laura – Aust Ch Thasrite Trendy New York went to the Rainbow Bridge on Friday, 5 October, 2012 - two months short of her 10th Birthday. Not a day sick in her life apart from one month ago when we had a couple of growths removed from her leg, she breezed through the procedure with absolutely no problems and continued her life as per normal. Last Thursday was no exception, we had a play, then a rest, then dinner, then bed. She went to sleep in her usual manner and decided it was her time to leave this world. Laura was a true character, always at the ready to have a play with anybody who cared to take the time to throw whatever she could drag over to them, the items would range from the usual doggy toys to bits of wood, sticks, branches just about anything she could get her mouth around and had the strength to drag over to you. She would play the retrieval game for hours on end if you had the time, Laura sure had the stamina. An excellent baby sitter she would play with children all day if they had the energy to keep up with her, this being her very favourite pass time, she was like this from the day she joined us to the day she left us. Such a character she brought a smile to all who knew her - you would never think she was almost ten years of age, not even the slightest grey anywhere on her. It was a massive shock to us but she had decided it was her time. We are all the richer for having had you in our lives. Be free our pretty princess, run free with all your toys until we meet again one day. Our love for you will never end and our memories of you will never fade. Laura was sired by Aust. Gr Ch Thasrite The New Yorker x Aust Ch Thasrite Nova Peris. Laura lives on in her children, grandchildren and great grandchildren. death of Australian Champion Vineen Bronze God. to co-own him and make him up to a champion in the first year. judges always accompanied by Chris, his talented handler. courageous. A true Boxer in everyway and a delight to live with right up to the end. give them a kiss and a wag of his tail. We miss you Nat old mate. Sleep well. They can never retire you now. RUBIS MBIG MRUBIG IISS MPIS, Aust Ch Gemcharm Im So Hottsowhat... "MADDIE"